Executive Director Holly Ewald is diving into journals, binders, photographs and memories to reflect on the UPP Arts project. ​Read the eigh​th and final blog post that walks us through the triumphs and challenges--both personal and organizational--experienced on the journey from art project to nonprofit to inspiration for future work. ​Read the seven​th blog post on the process of archiving UPP's 10 years as a community-based public art project. ​Read the six​th blog post on the many talented artists who have made UPP possible. ​Read the fifth blog post on UPP's work in private, charter and district schools around Rhode Island. ​Read the fourth blog post on UPP's partnership with the Tomaquag Museum and Indigenous community members. ​Read the third blog post on UPP's partnerships with Brown University's Public Humanities and Superfund Research Programs. ​Read the second blog post on early community collaborations and the seminal Mashapaug Pond Procession. Executive Director Holly Ewald will be diving into journals, binders, photographs and memories to reflect on the UPP Arts project. ​Read the first blog post on how it all got started. We will start meeting to plan the 10th Urban Pond Procession in January. 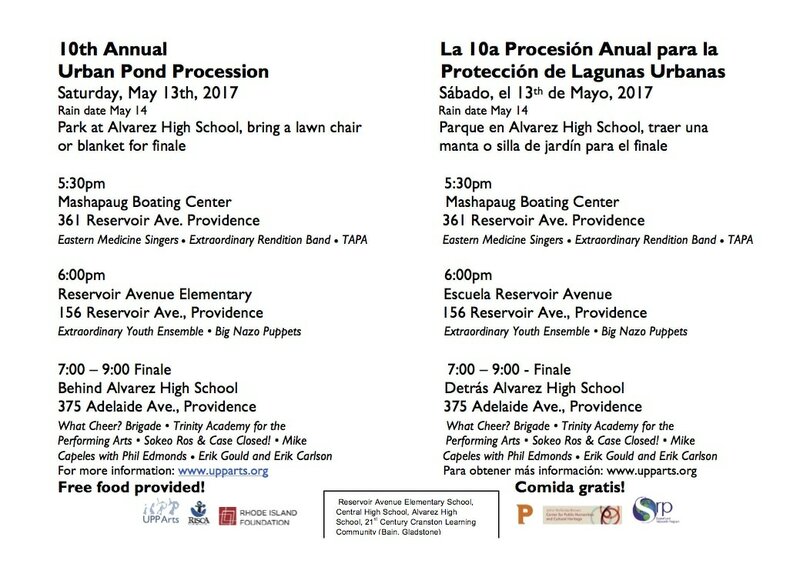 The procession will be shorter this year, focusing on Mashapaug Pond, and end with a festival at the new park behind Alvarez High School. Come help us plan this spectacular event. ​Email holly@upparts.org to receive information about our first meeting of 2017. 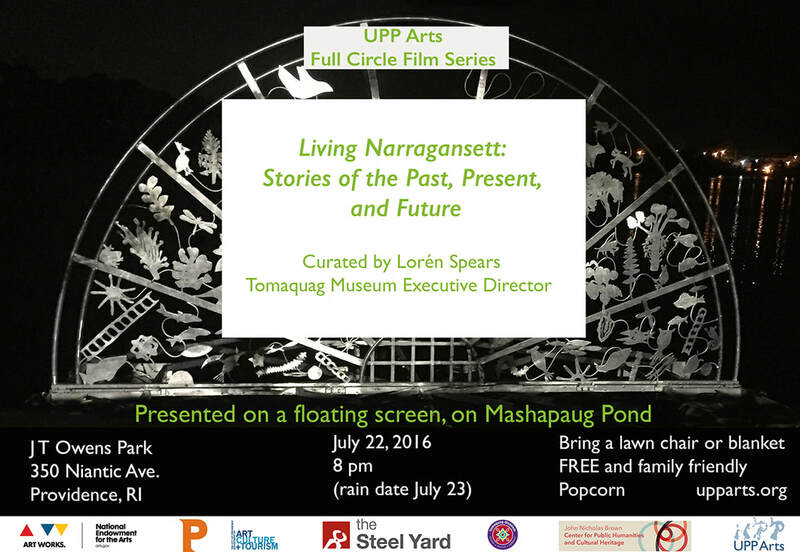 On Friday, September 23 at 7:00 pm, the UPP Arts 2016 Full Circle Film Series hosted its final event Silvered: Tracing Gorham at Mashapaug Pond at J.T. Owens Park, 350 Niantic Avenue, Providence. This multimedia experience, projected on a floating film screen, by artists Erik Carlson and Erik Gould explored the impact and significance of the Gorham Silver Manufacturing Co from its beginnings in 1890 on the shores of Mashapaug Pond through its height in the early 20th century to its closing and toxic clean-up by Textron in recent years. 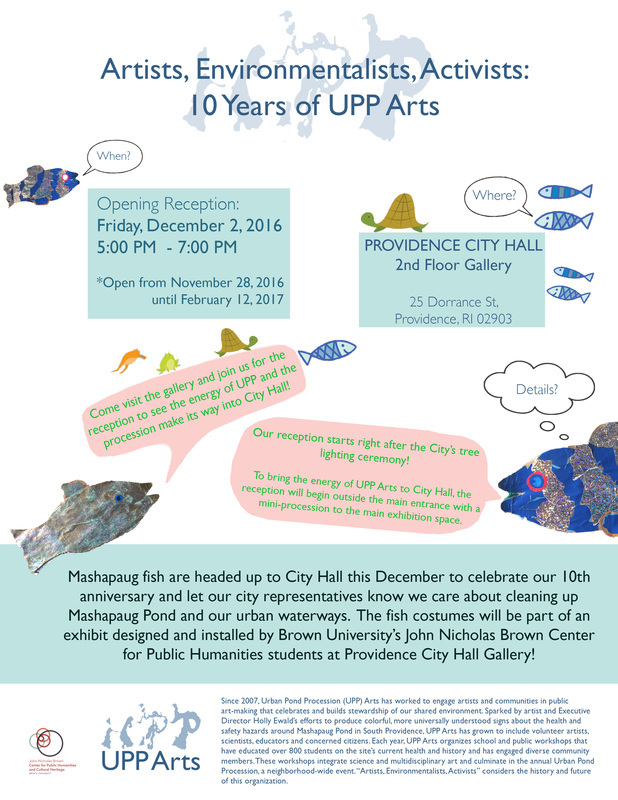 This collection documents the artistic, administrative, and educational activities of UPP Arts, a Providence-based nonprofit organization that staged the annual Urban Pond Procession between 2008 and 2017. 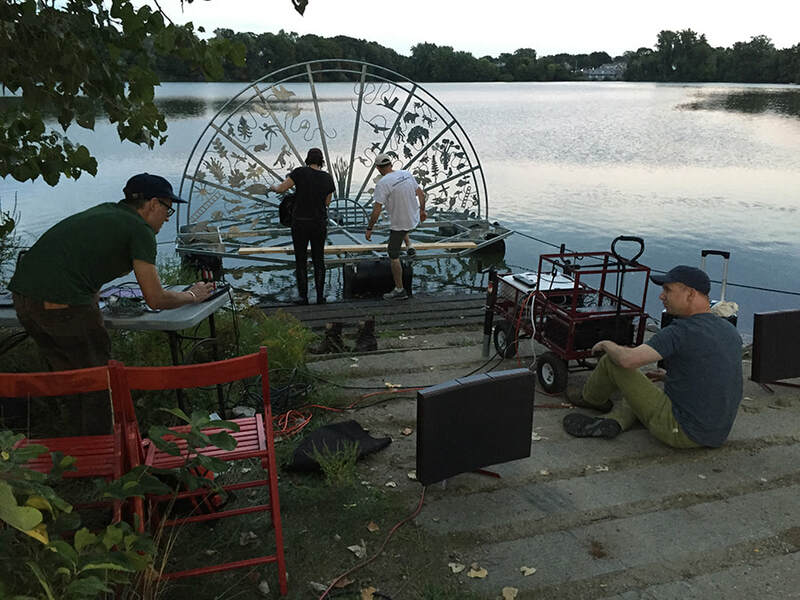 The physical and born-digital materials in this collection reflect a decade of interdisciplinary collaborations between artists, educators, students, government agencies, and community members who used place-based art to celebrate and build awareness for Providence’s urban ponds. Their work focused particularly on Mashapaug Pond and its environs, which include the site of the Gorham Manufacturing Company and the former West Elmwood neighborhood. Materials include administrative records; teaching materials; digital photographs and videos; collected research materials; and costumes and props from the Urban Pond Procession. At the Archives opening, we will celebrate the work of UPP Arts -- and especially all the people who have been creators and supporters over the years. 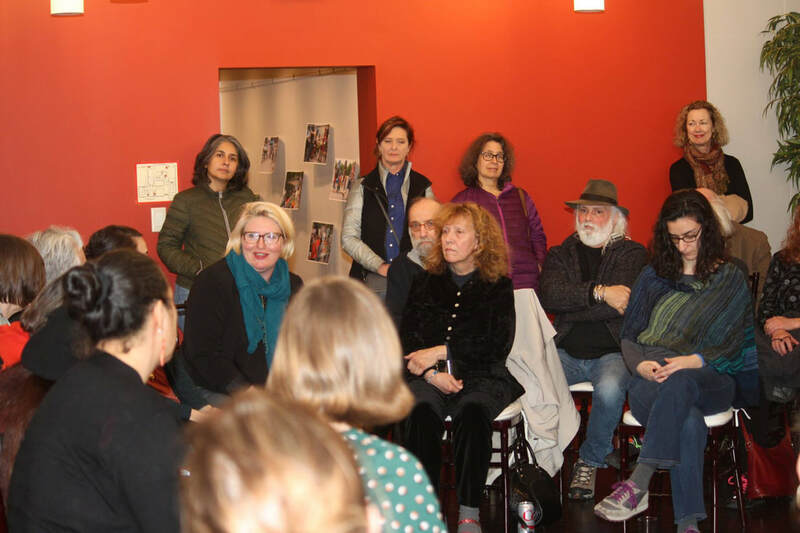 Christina Bevilacqua, Director of Programs and Exhibitions at PPL, will lead a community conversation beginning with UPP Arts’ Executive Director, Holly Ewald, and branching out to include many collaborators. Laura Maxwell, an educator and resident of Reservoir Triangle, described the format of the event as "a beautifully visual way to show what community action means." The PPL will be unveiling selections from the UPP Archive in their Digital Repository in January 2019. Artists and educators familiar with UPP Arts over many years helped to identify documents for the repository. By the end of 2018, the UPP Arts website will be frozen and preserved in the Digital Repository. UPDATE: Due to rain, the Procession will start at Alvarez High School (375 Adelaide Ave) at 5:30PM! We will still dance and sing in a mini procession, celebrate student projects, and share stories over food - so we hope to see you all there! 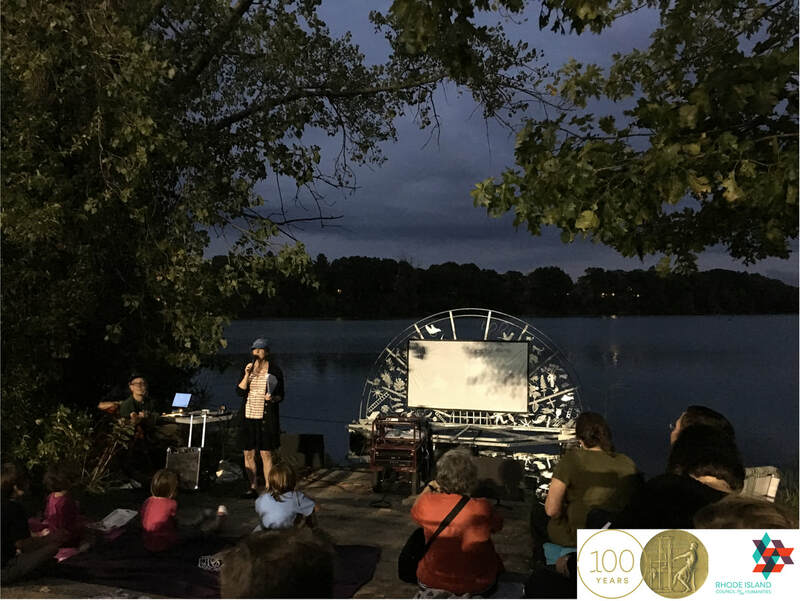 Since 2007, Urban Pond Procession (UPP) Arts has worked to engage artists and communities in public art-making that celebrates and builds stewardship of our shared environment. Sparked by artist and Executive Director Holly Ewald’s efforts to produce colorful, more universally understood signs about the health and safety hazards around Mashapaug Pond in South Providence, UPP Arts has grown to include volunteer artists, scientists, educators and concerned citizens. Each year, UPP Arts organizes school and public workshops that have educated over 800 students on the site’s current health and history and has engaged diverse community members. 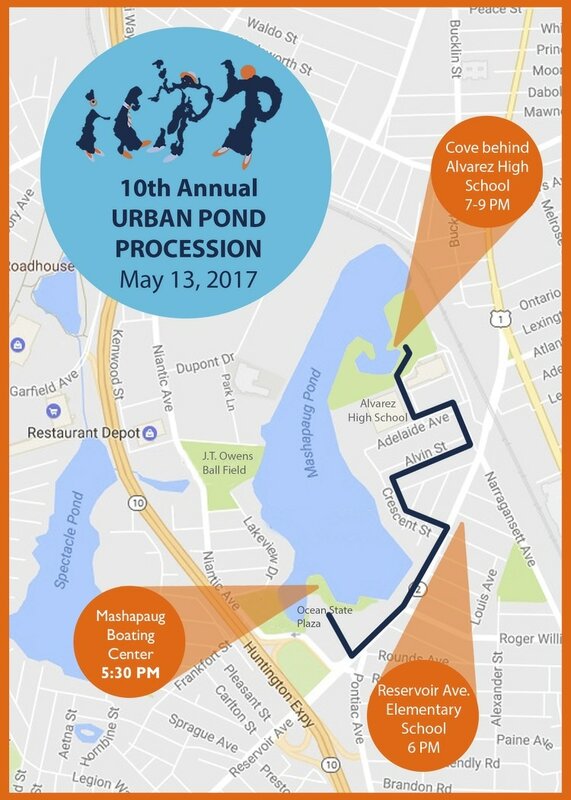 These workshops integrate science and multidisciplinary art and culminate in the annual Urban Pond Procession, a neighborhood-wide event. 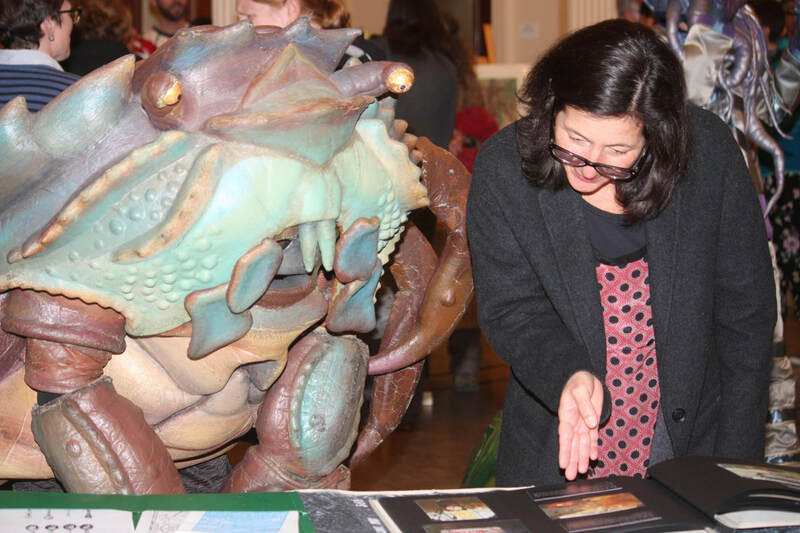 “Artists, Environmentalists, Activists” considers the history and future of this organization. In conjunction with the City’s tree lighting ceremony, “Artists, Environmentalists, Activists” will open on December 2 from 5:00 PM - 7:00 PM. To bring the energy of UPP Arts to City Hall, the reception will begin outside the main entrance with a mini-procession to the main exhibition space.